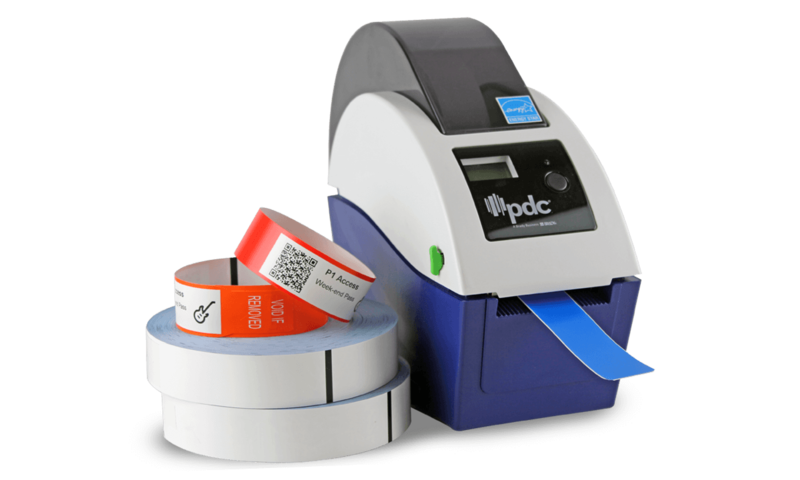 Our PDC direct thermal printer has been developed specifically to meet the needs of printing wristbands for people identification. 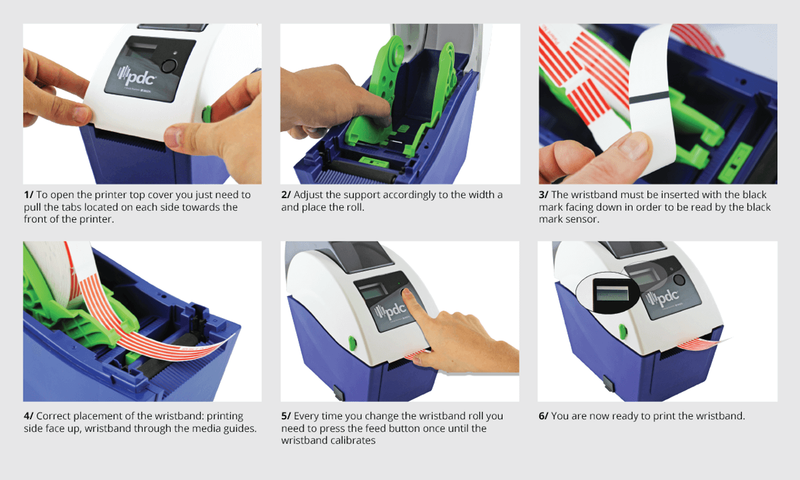 Our PDC direct thermal printer is the perfect fit for our Scanband S thermal printable wristbands! 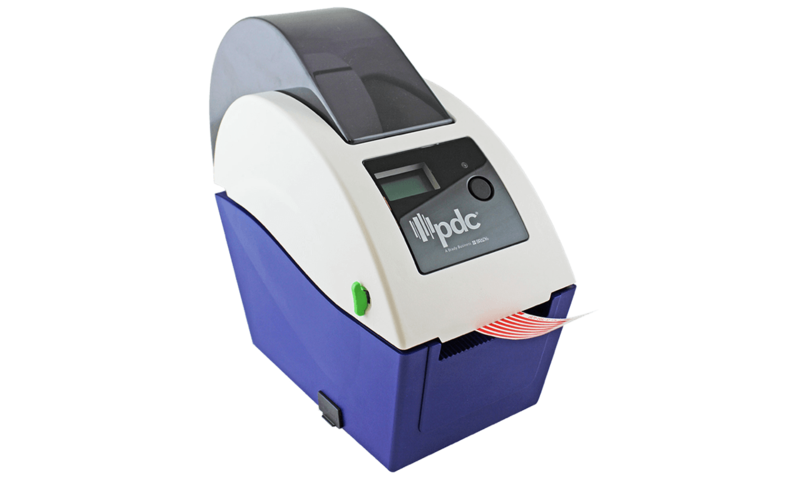 Print photos, text, logos, bar codes or other graphics with direct thermal technology.